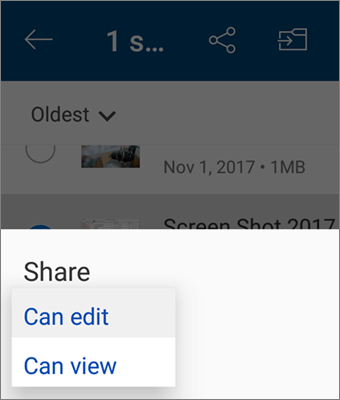 You can share OneDrive files, photos, and folders from the OneDrive app on your Android device just as you can on a PC or Mac. You can also see files that other people have shared with you. To stop sharing, go to the OneDrive website and sign in with your Microsoft account, or with your work or school account. 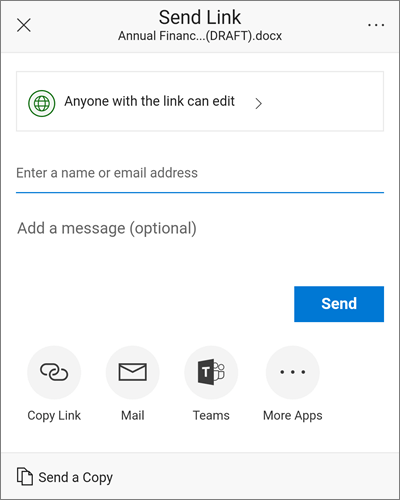 In the OneDrive app (signed in with your Microsoft account), select the file or folder you want (press and hold to select it), and then select Share . (optional) Select whether recipients Can edit the file, or Can view the file as read-only. Note: If the options look different, you're probably signed in with a work or school account. Select OneDrive - Business, earlier in this article, to see those instructions. Select Copy link, and then paste the link in the app or website where you're sharing the link. Note: Remember that anyone who has the link can open, download and save the document, and forward the link. 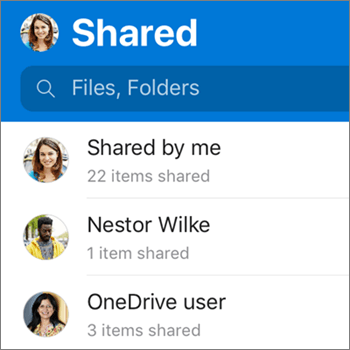 In the OneDrive app, select the file or folder you want to share (press and hold to select it). Tap Share > Invite people. At Add people to share with, enter the names or e-mail addresses you want. To let people edit, leave the Allow editing box checked. Uncheck that box to let people only view the file or folder. Tip: To add a note to your sharing invitation, tap the arrow at the end of Allow editing, then tap Add a quick note and type what you want to say. Tap Send . The recipients get an email message with a link to the document. Tap Share > Send files. In the Share list, tap the app you want to use to send the file. To use that app every time you send a file, tap Always. If you tap Just once, this choice appears again next time you send a file. After you make this selection, the app you selected opens. Use it to share the file. Tip: Sharing as an attachment works only with individual files. If you want to share a folder, use Copy link or Invite people. 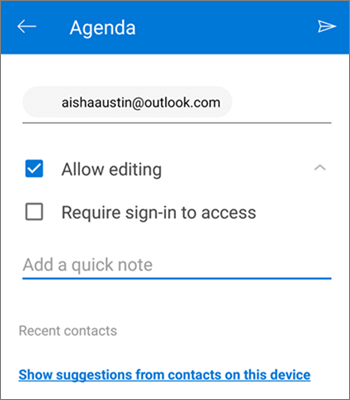 In the OneDrive app (signed in with your work or school account), select the file or folder you want (press and hold to select it), and then select Share .